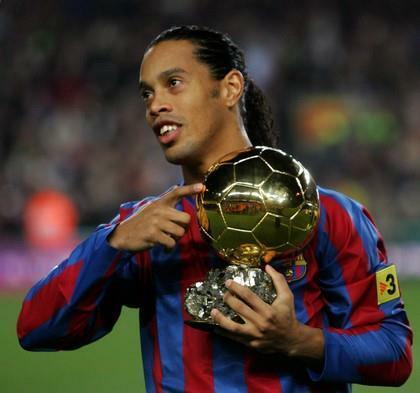 (MENAFN - Morocco World News) ">Rabat – The football game will reunite two ex-Ballon D'or and FIFA World Players of the Year: Brazilians Rivaldo and Ronaldinho, Argentinians Javier Saviola and Roberto Ayala, and Colombians Carlos Valderrama and Rene Higuita. Local football fans will also have the opportunity to see up close Italian World Champion Gianluca Zambrotta, Senegalese players El Hadji Diouf and Khalilou Fadiga, Tunisian Zoubeir Beya, Egyptian Mido, Ghanaian Abedi Pele, and Dutch Clarence Seedorf. The Sports Association of Brothers Supporting Youth, Charitable, and Social Works organized the game in collaboration with the Ministry of Youth and Sports. 'We are so proud to gather and celebrate the glorious Green March ,' Abu Azaitar, the renowned mixed martial artist and president of the organizing association, told the press. 'People from Brazil, Colombia and Europe representing different disciplines such as football and kickboxing have come to share our moment and most importantly contribute to the humanitarian act we aim to fulfil,' he added. 'I am so happy to attend such a great event, and I thank Abu Azaitar and all organizers for the chance they gave me to reunite with some friends like Said Chiba and others,' said Nader El-Sayed, the former Egyptian national team goalkeeper. Every November 6, Moroccans commemorate the Green March, when 350,000 unarmed Moroccans marched into the Sahara in 1975 to force Spain to leave Western Sahara.